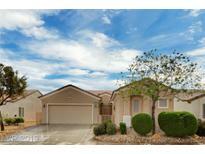 Find Aliante, NV Homes for sale. View Photos, Maps and MLS Data Now! Ann Losee Village - The City of North LV offers Pool, Basketball courts & playground. 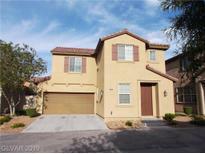 MLS#2090449. GK Properties. Centennial Bruce - Upgraded features include new carpet in select rooms. MLS#2090005. Opendoor Brokerage LLC. Sun City Aliante - Larger stone patio for relaxing or entertaining TURNKEY! MLS#2089943. Keller Williams Market Place I.
Cove At Aliante - New irrigation system front and back yards. MLS#2089918. John Griffith Realty. Nelson Ranch - Community: Pool & spa, work out room, clubhouse, parks, playgrounds & gated. A real must see! ! MLS#2087602. Urban Nest Realty. Ann Losee Village - Buyer And Buyer Agent To Verify All Info. A Must See! MLS#2088317. Compass Realty & Management, L.
Sun City Aliante - Community Features: Indoor swimming pool/spa, tennis courts, basketball courts, library/computer room, billiard tables, meeting/banquet rooms, and social calendar. MLS#2088813. Realty ONE Group, Inc.
Cove At Aliante - Nice upgraded finishes, move in ready! This home will not last! MLS#2088758. Executive Realty Services. 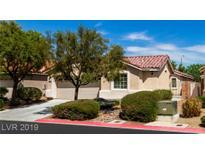 Nelson Ranch - Community: Gated, 24 hr roaming security, pool, spa, workout room, clubhouse, parks w/play grounds, pet parks. Oasis in the desert! MLS#2087587. Urban Nest Realty. Sun City Aliante - Exceptional community amenities, meticulously maintained neighborhood, outstanding value MLS#2089016. Redefy Real Estate. Azure Estates - Purchase now, fill the pool and make it yours just in time for summer! Lots of potential. MLS#2088718. eXp Realty. Aspen Hills - Upgraded features include fresh interior paint and new carpet in select rooms. MLS#2086907. Opendoor Brokerage LLC. Amberwood Estates - Tenant on Month to Month Lease, Would like to extend additional 12 months, Show AFTER accepted offer! MLS#2088372. BluePrint Realty LLC. Arbor Gate - Convenient to freeways, schools, shopping, restaurants, & more! MLS#2088573. American Realty Properties LLC. Enjoy resort qualify community amenities, including pool, spa and tennis! MLS#2088291. Wardley Real Estate. Arroyo Grande - Please inquire about more details, thanks! MLS#2087265. 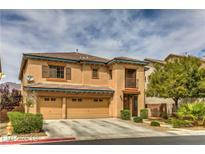 Vegas Homes & Fine Estates. Arroyo Grande - COMPLETELY remodeled single story home**Newly painted 2 tone interior, Engineered laminate wood flooring throughout**White cabinets with stainless hardware, NEW stainless appliances, granite counters**4" baseboards**Stunning view of the mountain range from the backyard**Property backs up to a walking path, no neighbors behind**3 full bedrooms**Two full baths**Two car garage**NO HOA** MLS#2088375. Keller Williams Realty Las Vegas. Aliante North - Property Located In Wonderful Gated Community. MLS#2088194. Realty ONE Group, Inc.
Arroyo Grande - COMPLETELY remodeled single story home**Newly painted 2 tone interior, Engineered laminate wood flooring throughout**White cabinets with stainless hardware, NEW stainless appliances, granite counters**4" baseboards**Stunning view of the mountain range from the backyard**Property backs up to a walking path, no neighbors behind**3 full bedrooms**Two full baths**Two car garage**NO HOA** MLS#2087946. Keller Williams Realty Las Vegas. Allen Manor - HUGE pool size yard / turf & covered patio, can be made your pool oasis. MLS#2087868. Homestar Realty & Management. 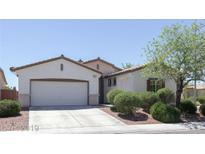 Beautiful One Story Home Located At Sun City Aliante, 3 Bedrooms, 2 Bathrooms, 2 Car Garage, Granite Counter Tops, All Appliances Included, Tile And Carpet Floors, Desert Landscaping And Cover Patio MLS#2087919. Weichert Realtors - Aspire. Club Aliante - Walk to tennis & gym/pool great location in community. MLS#2087532. O48 Realty. Tile floors throughout and new carpets in both bedrooms. MLS#2087554. eXp Realty. Centennial Bruce - Large living rm w/entertainment niche+romantic fireplace, kitchen w/breakfast bar, tile counters+pantry, master suite w/double vanities, roman tub+ separate shower, ceiling fans in all bdrms, blinds, recessed lighting, separate laundry rm, solar screens, storm entry door, covered front+rear patios, mature landscaping, 3-car tandem garage. 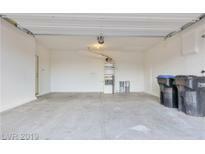 MLS#2087603. 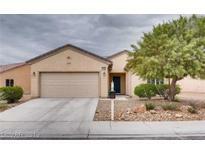 Mt Charleston Realty, Inc.
Centennial Azure - All appliances & Soft Water system included! MLS#2087363. Platinum R.E. Professionals.